Do you want to learn how to increase complex case acceptance? The first thing you need to do is turn your case presentation into a case conversation! 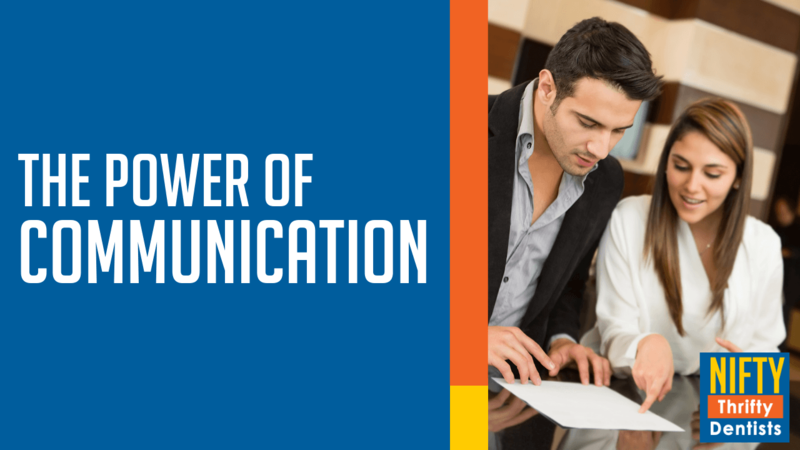 This is something that my guest, Dr. Paul Homoly, talks about in our latest chat where he reveals the power of communicating with patients. Dr. Paul Homoly is president of Homoly Communications, a useful resource for developing practice-building skills and business expertise for dentists. Dr. Paul Homoly is known around the world for his innovative and practical approach to dentistry. So, as you can imagine, I was thrilled to have him join me for an intriguing discussion about how to communicate better with patients in a way that makes it easy for them to say yes to your treatment plan. As Dr. Paul Homoly says, dental school teaches everything you need to know about dentistry. But, it doesn’t teach you how to build a real connection with your patients and this is something that many of us need to work on. 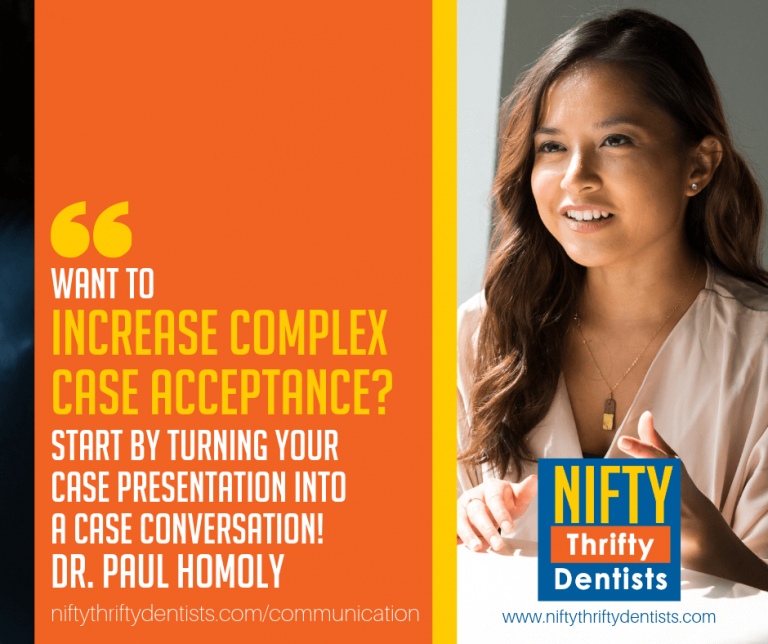 If you want to help more patients and increase case acceptance in your practice, I invite you to join Dr. Homoly and I in our latest discussion! Want to learn how to make it easier for your patients to say YES to dental treatment? Dr. Paul Homoly was kind enough to a great Nifty Deal on his new online training platform to help dentists.